This form is used to document annual health and safety objectives using the SMART format. (Specific, Measurable, Achievable, Realistic, Timebound.) Included in this are a range of example objectives which you may choose to expand upon. The process for continual improvement to health and safety is outlined in the Planning and Review Procedure. This form outlines an agenda to follow to review the health and safety system and progress made in the past year. It covers areas such as hazards, policies, document control, contractor management, strengths, weaknesses, and setting objectives for the coming year. 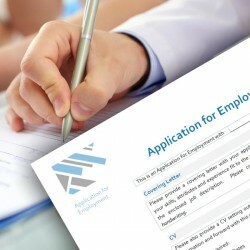 This form is used to document contractors approved to work with your company. It tracks the progress from initially sending out a letter and questionnaire (to request health and safety information), to when the contractor is approved. The process for managing relationships with contractors is outlined in the Contractor Management procedure. This checklist is used to assess the evidence provided by a contractor from their completed Contractor Questionnaire. Once the contractor has provided sufficient evidence, they are added to the Approved Contractor Register. The process for managing relationships with contractors is outlined in the Contractor Management procedure. 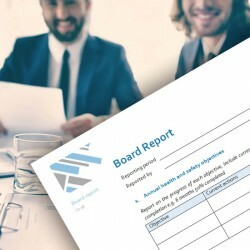 This form is used as a template for reporting health and safety performance to the board. It contains categories and prompt questions as ideas for content. The list includes standards, Acts, Regulations, good practice guides, industry codes of practice as well as other guides and industry codes of practice, that you may need to comply with. Please be aware that this list is not exhaustive, there may be others you need to comply with and will need to be tailored to your business.